Please contact with any questions you may have. We can ship things in a flat rate box/envelope for $6.45-$6.80. If it is cheaper, we can ship in a large bubble envelope. We will use whichever is cheapest! Shipping quotes can be made upon request. We also have a lot of novelty llama items. Please ask for an available list, items shown here may be sold. All art and sayings are copyrighted JNK Llamas, PLEASE do not try to steal them! We sold a hat to someone and mailed it with the understanding they would mail payment. They never did and ignored our emails, phone calls, etc. So we recommend that you do not do business with Tania Kundinger of Wisconsin. She is not honorable in her business dealings. "No hour of life is wasted that is spent in a llama cart." 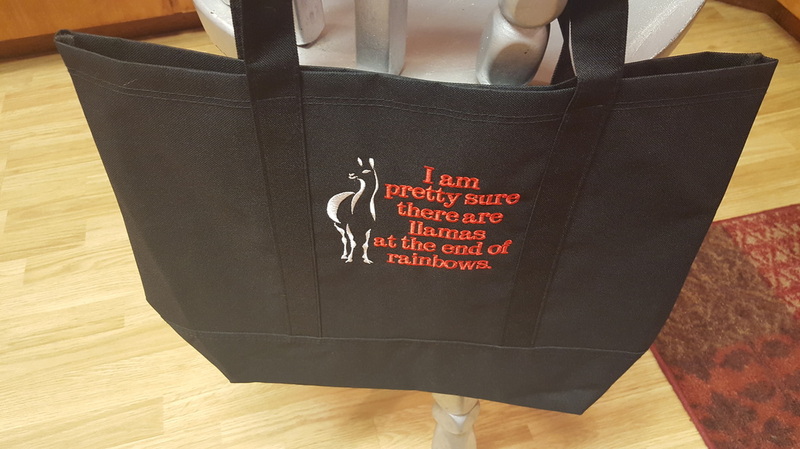 "I am pretty sure there are llamas at the end of Rainbows." 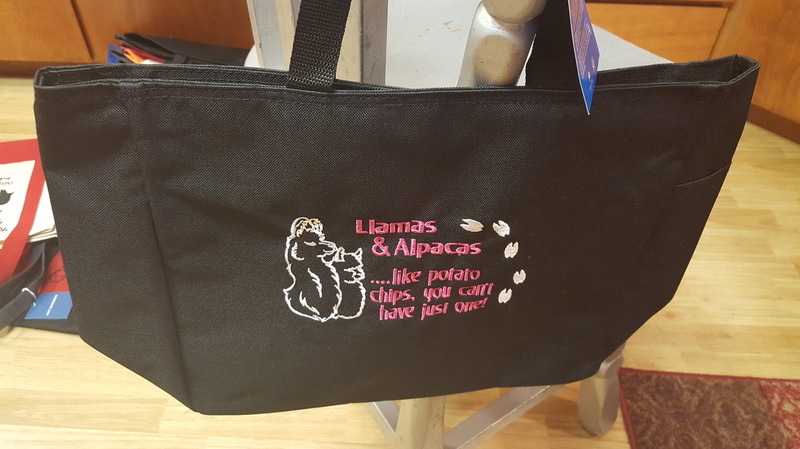 "Llamas & Alpacas....like potato chips, you can't have just one." "Having a bad day? Hug a Llama." "My llamas won't spit on you, but I will!" "Registered Therapy Llamas Putting the warm back in fuzzy." 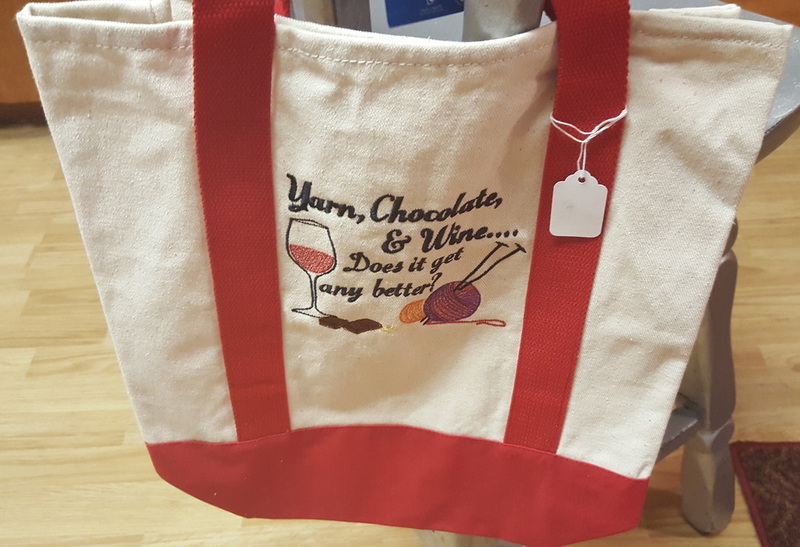 "Forget chocolate, Buy Me Yarn!" "Llamas, Chocolate, & Wine....Does it get any better?" "Yarn & Time....to which the word "enough" does not apply." 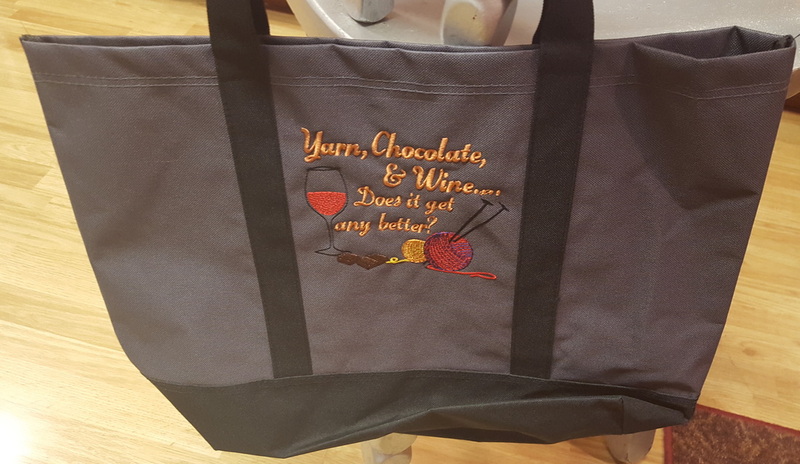 "Yarn, Chocolate & Wine....Does it get any better?"